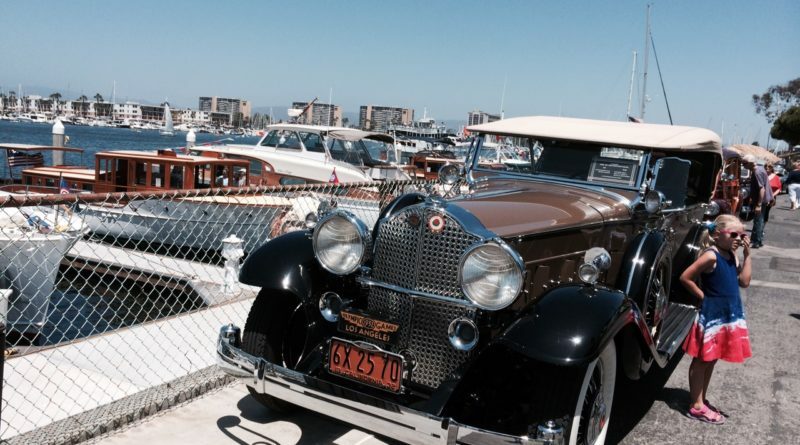 Annual event featuring vintage boats and vehicles returns to Marina del Rey, July 23. MARINA DEL REY — The end of July means only one thing: classic boats and automobiles from the 1920s to 1960s will be featured on the Marina del Rey waterfront. Classic Yacht Association hosts the 41st Old Fashioned Day at the Park on July 23 at Burton Chace Park in Marina del Rey. Festivities begin Sunday morning at 10 a.m. and continue until 3 p.m.
A “roving booth history exhibit” will be on display, courtesy of Marina del Rey Historical Society. A limited number of copies of (late photographer) Greg Wenger’s book, “Marina del Rey, A Photographic Collection” will also be available (first-come, first-served basis). The Classic Yacht Association (CYA) and the Los Angeles County Department of Beaches and Harbors sponsor the event. Burton Chace Park is located at 13650 Mindanao Way in Marina del Rey. Admission is free. Food trucks are expected to be on site, offering various items for sale. Email sparklechristine@gmail.com or call 310-429-3028 for more information.